Times past: Drinking on the beach and playing in the sea will both be banned after the island reopens next month. Tourist chiefs have announced further restrictions on visitors to Boracay — including a water sports ban and a daily arrivals limit of 6,405. Tourism Secretary Bernadette Romulo-Puyat today (Friday, September 28) also confirmed that only 19,000 tourists would be allowed on the island at any given time. Yesterday, we reported how environment chiefs wanted to introduce compulsory access bracelets to all visitors. These would be issued only after would-be tourists had registered on an online database, giving exact details about the length of their intended stay. Boracay’s “soft” reopening, following its six-month rehabilitation, is scheduled on October 26. However, it has already been announced that the work on the island will continue after visitors return. Prior to this, there will be a “dry run” from October 15, during which time 25 hotels will be offering about 2,000 rooms. Ms Romulo-Puyat today cited a study that found that the total number of rooms in Boracay far outstripped the island’s carrying capacity. The Department of Tourism has also started coordinating with airline companies about limiting the number of flights. As well as a complete ban on smoking and drinking along the seafront, the Department of Environment and Natural Resources (DENR) announced today that water sports, diving and other activities will be temporarily banned after reopening. Environment undersecretary Sherwin Rigor said such activities, as well as the use of anchors, had contributed to the destruction of corals and marine biodiversity over the past 20 years. The DENR is planning to put up “artificial corals” or try “coral gardening” to rehabilitate the island’s reefs, he added. 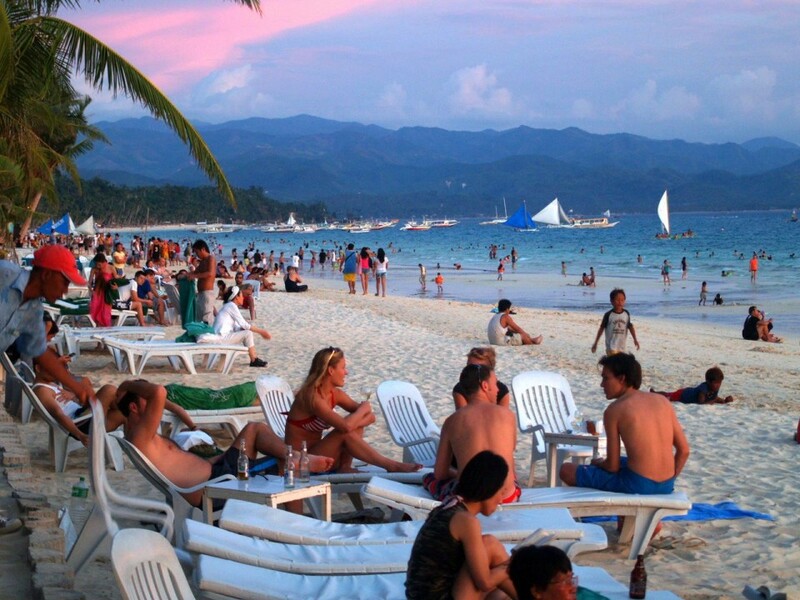 After the temporary ban, the government will designate spots for each of Boracay’s six water sports organisations to ensure that the waters never become too crowded. The famous white-sand resort island was closed in April after President Duterte described it as a “cesspool”.